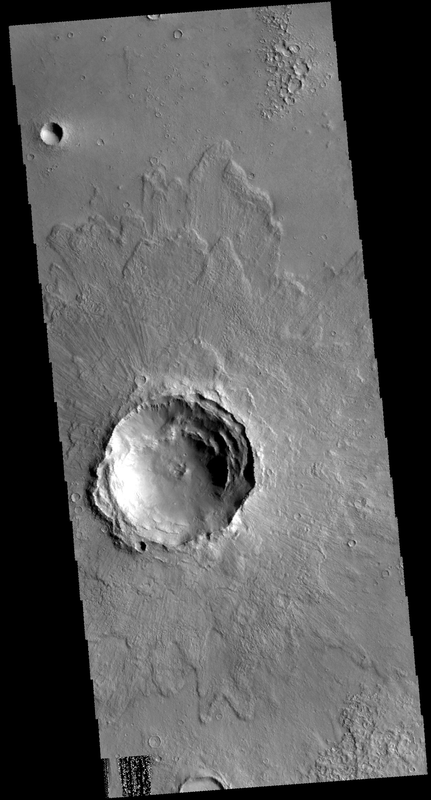 This VIS image shows an unnamed crater in Acidalia Planitia. The margins of the ejecta are lobate and higher than the ejecta closer to the crater. This type of ejecta blanket is called rampart and it is thought that a volitile material like water may have played a role in creating this morphology. The crater is fairly pristine, and therefore relatively young.